You have to admit that a MacBook Pro is a glorious piece of technology, not just because of the status carried, but also of the cost involved. This is why many Apple device owners are careful and meticulous when it comes to safeguarding the safety and protection of their investment; from purchasing cases, to fitting covers, and even buying insurance packages in case something goes wrong with data, hardware, and so on. And for those who’d like to spend a little median when it comes to protecting their MacBook Pro, purchasing a reliable and dependable screen protector would be more than rewarding. With the laptop screen being one of the most valuable components, it is only fair that you find the best screen protector you could get as the protection of such would determine EVERYTHING your device has been created for. Regardless of how you’re using your MacBook Pro, it’s in the screen where all the action happens. 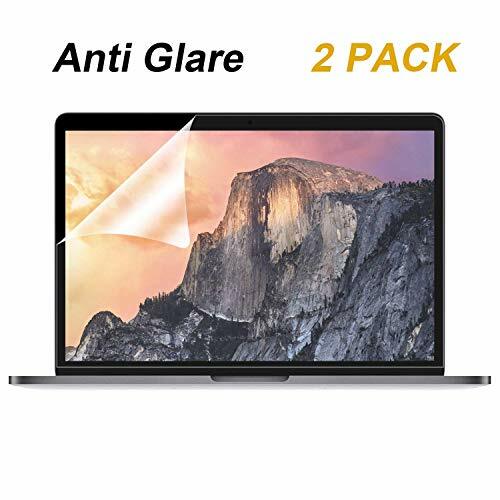 However, purchasing a MacBook screen protector is a little challenging than it is like a walk in the park, especially that there are many manufacturers that offer it, whether it has cheaper pricing, better quality, or it has freebies. We’re here to help you cut down the list as we feature five of the best MacBook Pro screen protectors that you could find. The Forito MacBook Pro screen protector is created to shield your screen from scratches that occur due to wear and tear. 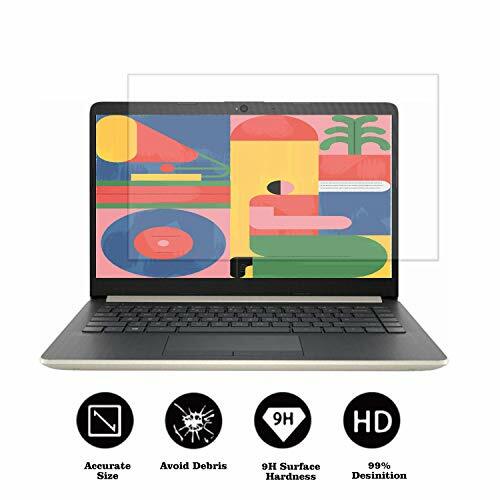 But more than scratch protection that happen when moving the laptop from place to place, the screen protector is also excellent for protecting your laptop from dust and dirt. Aside from protection, the screen protector from Forito can also reduce the glare that reflects from varying sources of light, such as the sun or from light bulbs. Ultraviolet emission from the screen is also lessened through the film, which in turn lessens radiation that usually causes visual fatigue or strain in the eyes due to longer periods to screen exposure. Despite the eye-protecting features, the film used for the Forito screen protector does not affect visual quality. It is a common issue among screen protectors that the film used dims screen brightness in order to deliver anti-glare and radiation elements. That is not the case with Forito as the transparency level is over 95%, seeing as if nothing is placed on your MacBook screen. For customers that align protection with something tough and thick, the Liliongth Tempered Glass Screen Protector should be an obvious choice. The durability of the screen protector is so solid that its hardness is rated at a 9H and it can withstand all sorts of damage from both blunt and sharp objects. Imagine something as extreme as a knife, or maybe car keys cannot create damage to the screen protector. As for strength of the overall material, it’s three times tougher than the usual PET film so it’s not going to tear off or be ripped as easy. Aside from deflecting damage, the tempered glass screen protector can also protect the screen from oil and water, with the coating being resistant to such elements. All of the protective features come with a 2.5D Round Edge technology that makes the screen protector still thin and looking light despite of the protection it provides. 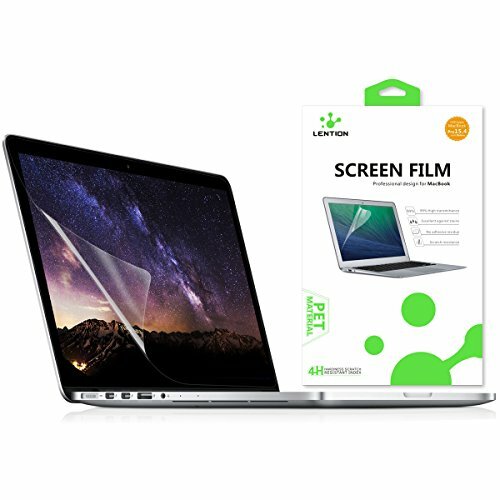 When you’re looking for a screen protector that can effectively repel water and dust as they touch the screen, then the Lention Screen Protector is a valuable buy, especially for those who work in dust-prone places. Because the coating has hydrophobic and oleophobic properties, you’ll find it easy to clean, even by just wiping it off with a fabric with no extra liquid solution. Aside from the easy-to-clean surface, the screen protector is also proud of its scratch-resistant 4H hardness coefficient shell. Made from high-quality PET material, the screen protector can guard the MacBook Pro screen from scratches that appear due to daily use. With Lention making its screen protector as non-intrusive as possible, they incorporated a third generation AR technology with Hard Casing, along with optical coating that displays 99% of the light coming from the screen – providing protection without intrusion. 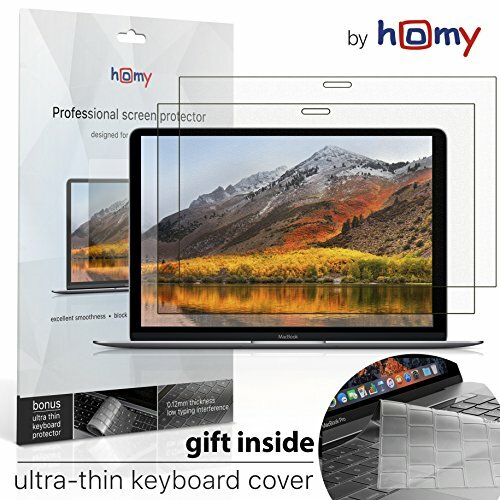 If you’re seeking for a rated screen protector that’s manufactured from Japan, then the Toshion Ultra Clear Screen Protector would be a staple purchase for your MacBook Pro. The screen is so clear that you’ll barely notice its presence due to the level of clarity with colors vividly displayed on the screen. The quality of the screen protector also makes the said product easy to install and remove, with back coating that perfectly attaches to the clean screen, avoiding screen bubbles that commonly appear when installing low-end sticky screen protectors. Anti-scratch durability is sustained through the Screen Ward feature that makes the screen protected for a long time. Because of the stiffness of the material, both transparency and protection are met with ease. One of the best selling points of the Homy International Screen Protector is the technology behind its production, collaborated with LG. You have the option to choose between the gloss and matte screen protectors, which differ in reflective screen quality, resistance to dirt and dust, level of use, and user-friendliness. But whatever you prefer, you’ll get the same quality that protects your MacBook Pro’s screen, as well as keeping your eyes stress-free. Which is considered the best? 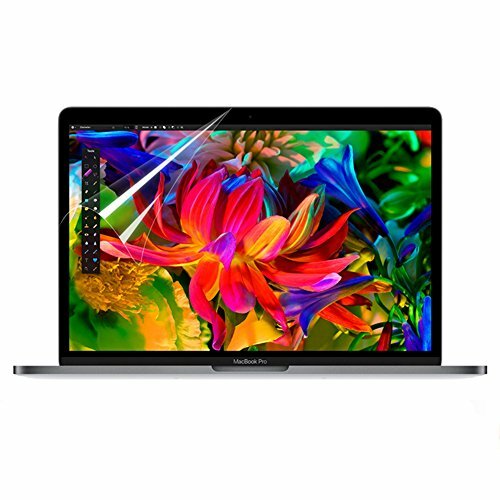 Though all of the products mentioned have primarily the same purpose of protecting your MacBook Pro’s screen from scratches, there are other features you might look into, depending on your preferred factors. Some might consider matte material for touch-screen friendliness and fingerprint smudge resistance, or you might take a clear gloss protector for seamless image quality while not compromising protection. Do keep in mind that screen protectors are cheap and they are created to be replaceable after some time. You could think of testing different products until you find what’s best for your needs.